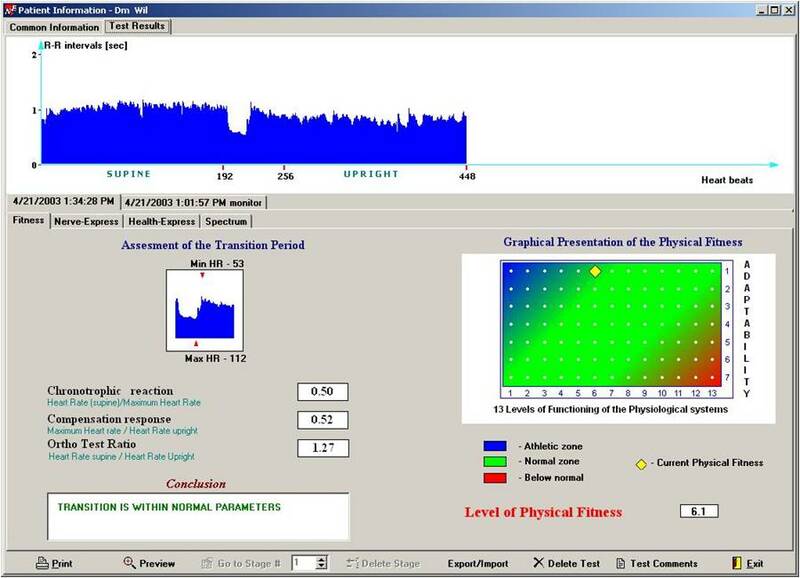 The Heart Rate Variability Test is a method for assessing the effects of stress on your body. It measures the time gap between your heart beats that varies as you breath in and out. A high HRV is linked to good health and a high level of fitness while a lowered HRV is linked to stress, fatigue and even burnout. A strap is placed around the chest that monitors 448 heartbeats—first lying down on your back, then standing, and last sitting holding your breath and finishing the test with deep breaths. It provides a quick and easy assessment of the Autonomic Nervous System function.